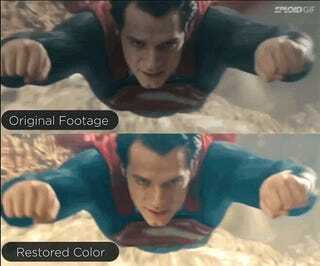 Man of Steel was mostly fine but one huge problem with the movie was that it was just too dark. It embarrassingly cribbed its visual style off of Nolan’s Batman trilogy and that dark tone just doesn’t match up well with Superman. Visual Lab decided to restore the color in the film and it looks so much better.